The Marquis of Bristol designed and commenced construction of the 600 feet long pier in 1865 and it was completed for use in 1894. The original plan was to take post by train to the end of the pier ready to ship to Harwich and the continent. The plan came unstuck as other landowners refused to sell land to build the rail track from Shotley to the nearest town of Ipswich, and thus the pier was never used for its original purpose. However, we know it was indeed used to transport post, albeit using a narrow gauge rail from shore to the end of the 600 foot pier. Post arrived by van to be sorted at the sorting office at the top of Bristol Hill, taken onto the pier to be transported to Harwich and the continent. Later, the Royal Navy Training Establishment HMS Ganges used it for travelling from Shotley to Harwich and Felixstowe, and later still there was a regular foot ferry service between the 3 places, operated by railway company motor boat services. Fast forward to 2016, and a community group formed to buy the now derelict pier, which is in remarkably good condition, probably because it was built to take the weight of a train! 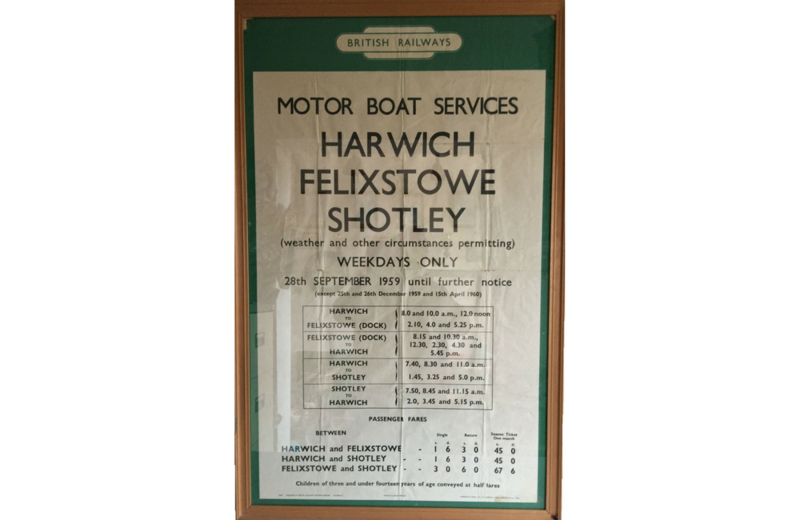 Kind donations of memorabilia has enabled the tales to be verified: we have a poster of the 1959 timetable of the motor boat service, and a photo of a postal worker walking next to the narrow gauge to prove the tale was true! 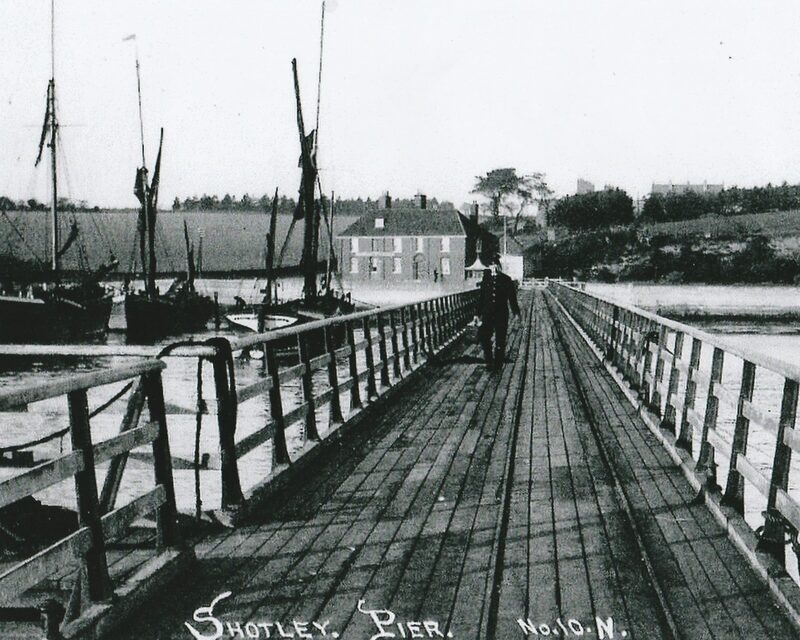 We are seeking more photos or memorabilia, and information about the past plans to build a rail link to Shotley. Now that the charitable community benefit society owns the pier, we are fundraising to restore the pier. We would particularly like to reinstate a section of the narrow gauge rail. If this sounds of interest to you, please contact us.